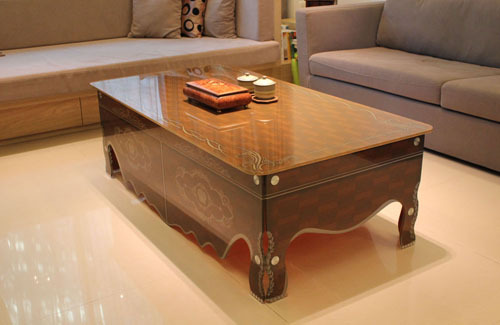 In this coffee table, the designer has taken the outline of a classic British style and blended it with a modern glass sensibility. The result is simple but gorgeous. Copyright © 2013 IDEARICH/Liiu. All rights reserved.